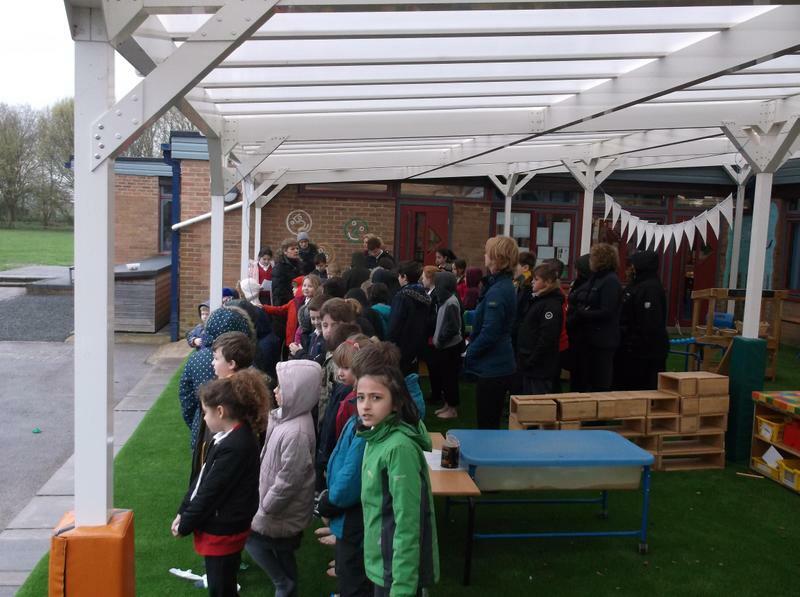 The theme for Bishop Stephen's Lent Challenge this year is refugees. 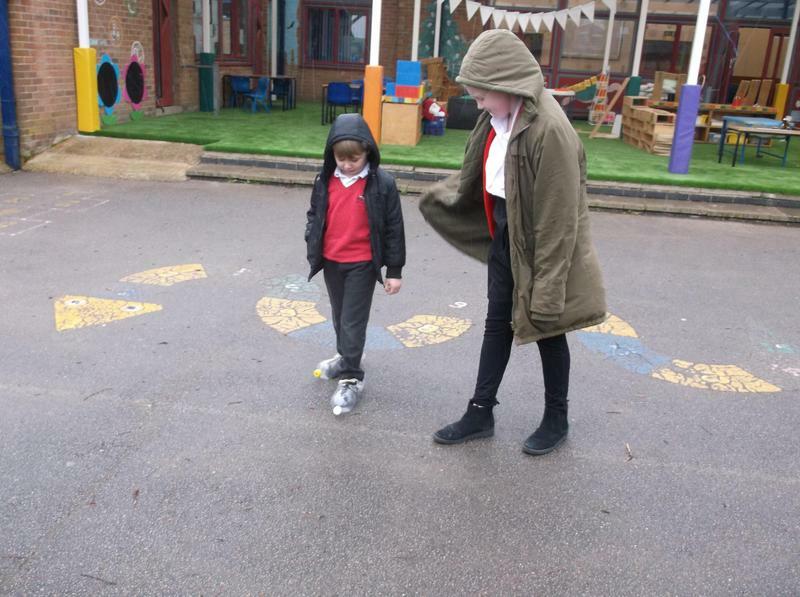 As a school, we have really tried to provide experiences to try to help each of us know what it would be like to 'be in the shoes of a refugee'. 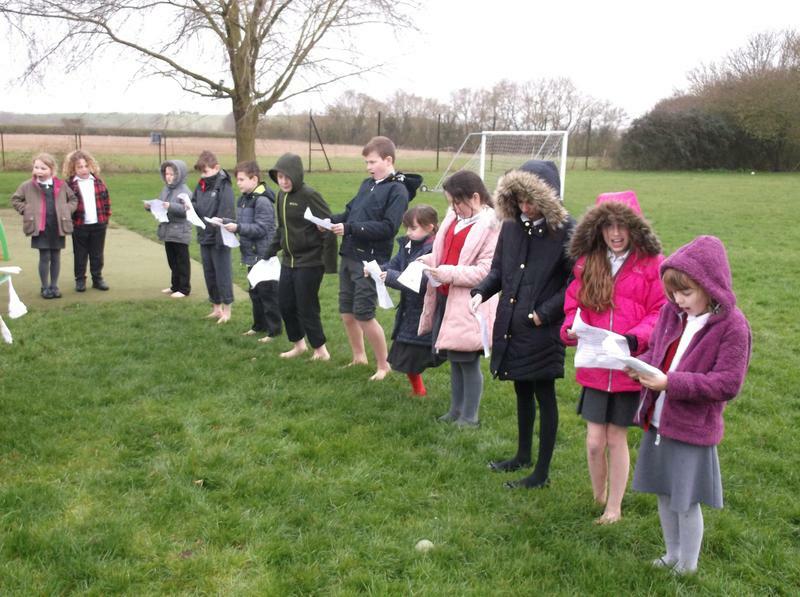 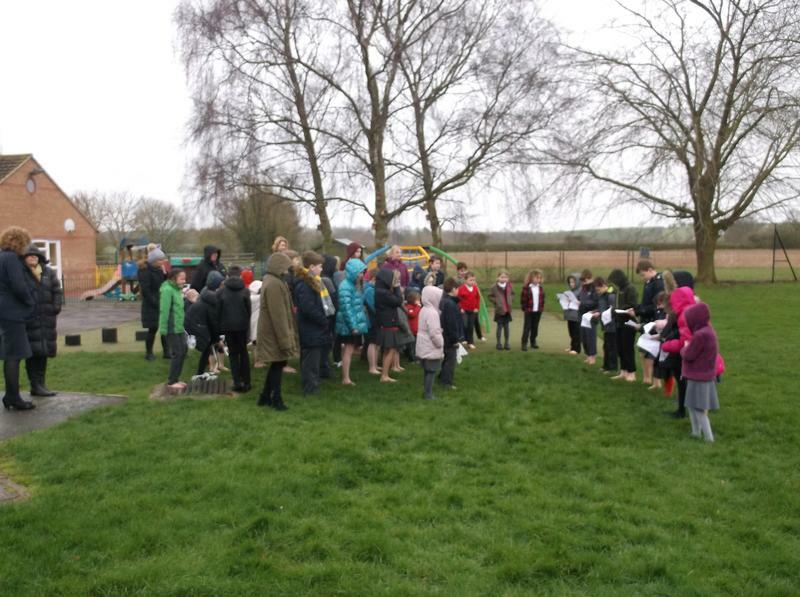 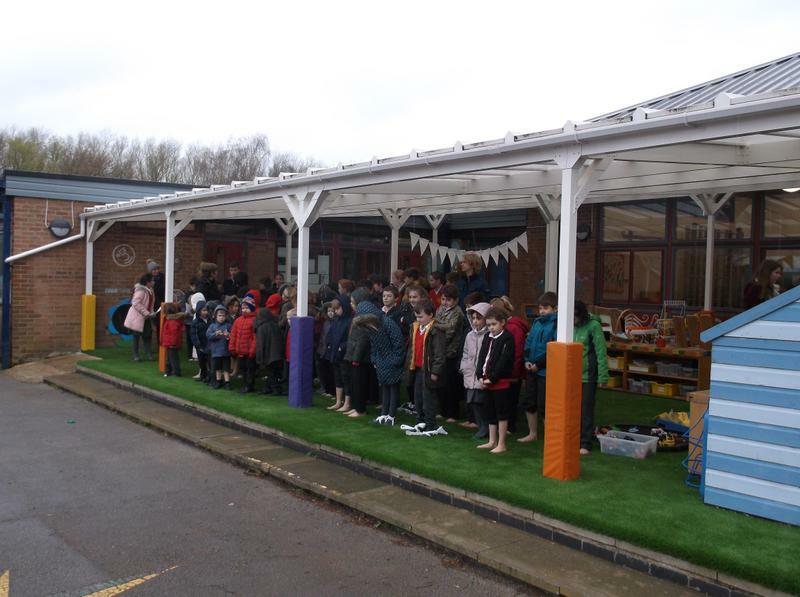 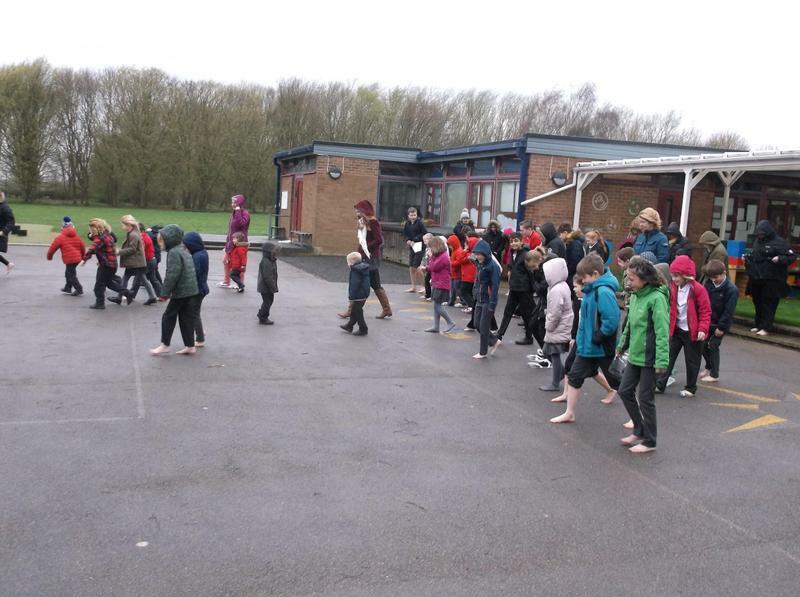 Today, for challenge 4, we held our Collective Worship outside, praying for refugees in all four corners of the world, while wearing 'bottle' shoes, or even going barefoot! 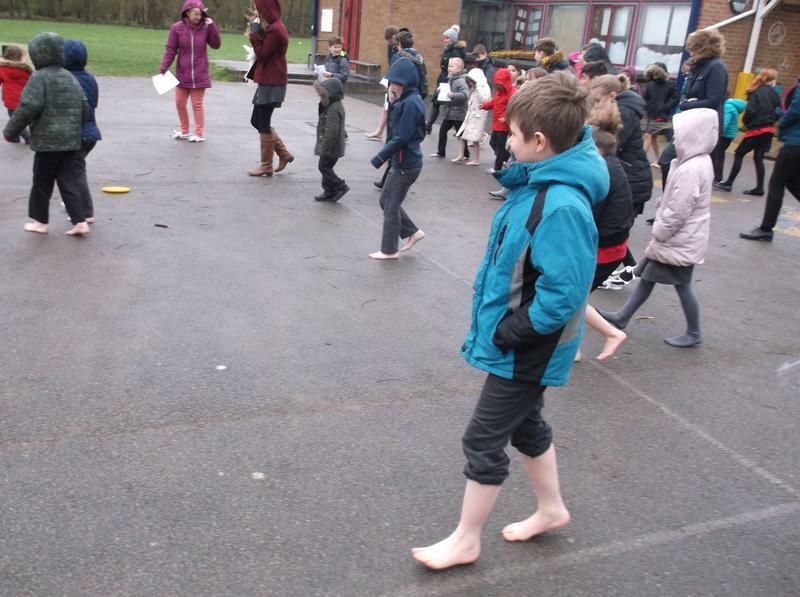 It was cold and wet and it certainly made us appreciate our well fitting shoes with no holes in!